My family went to the Pacific Plaza Foodcourt for lunch on a Saturday afternoon. 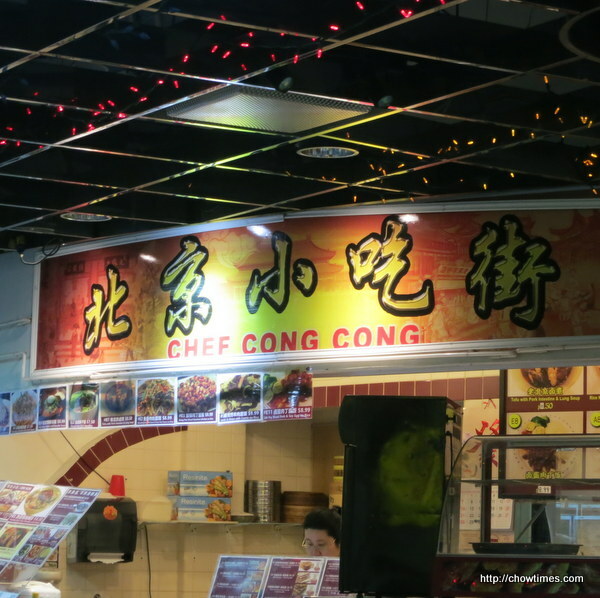 Ben and I decided to share something from Chef Cong Cong which serves cuisine from Northern China. 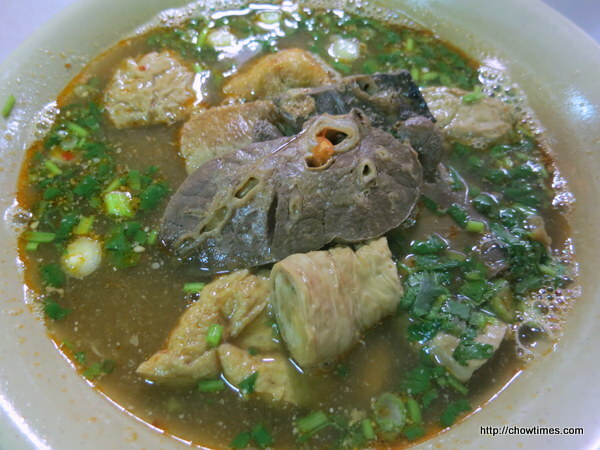 We had the Tofu with Pork Innards Noodle Soup, price at CAD9.50. It has lung, intestines and tripe. I only ate the tofu and leave the rest for Ben to enjoy. He loves the gamey taste of the innards. I also ordered a deep fried dough which was displayed on the counter with some Chinese donuts. The deep fried dough was quite oily when I used my fingers to tear it into smaller pieces for dunking into the broth. 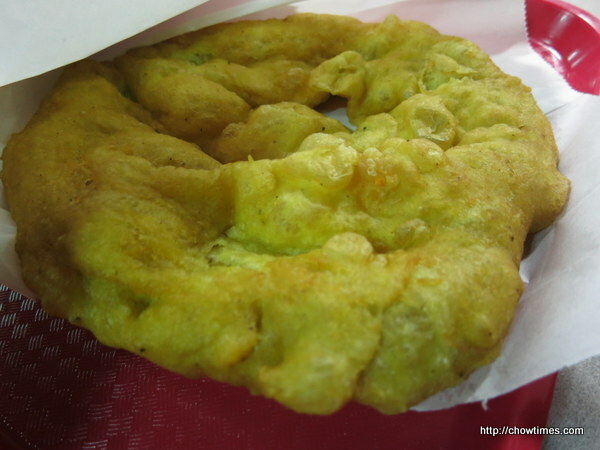 It has similar flavour like the savoury pancake from Double Double Restaurant. This is CAD2. This stall only accepts cash. 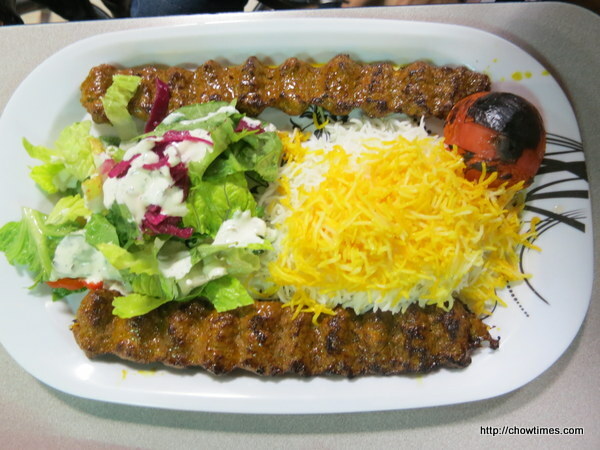 Nanzaro got the Kubideh from Anar Restaurant which I had blogged before here. He loves middle eastern food. He asked for no salad but the server forgot about it. I’m more than please to help him out with the salad. Arkensen went to Osaka to buy some sushi as he does not fancy the food in this foodcourt. 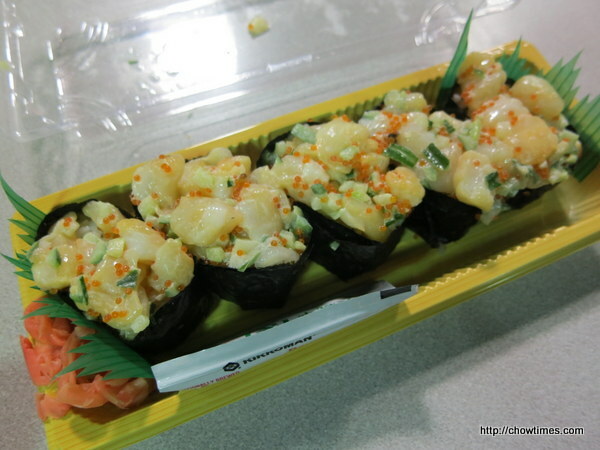 He had the Chopped Scallop Sushi for CAD5.49. 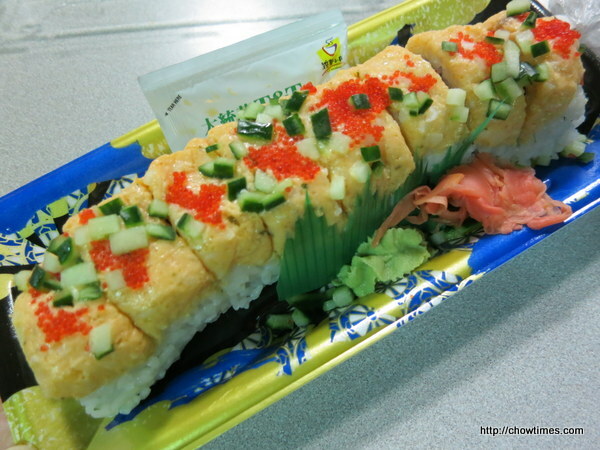 He also got a Smoked Salmon Crab Roll for CAD5.99. Arkensen loves Japanese cuisine.